We live in a special, historic community strategically located at the mouth of the Connecticut River and Long Island Sound. The Democratic Town Committee (DTC) seeks to elect Democrats who advocate for our community and who support good government that is responsive and fiscally responsible. Our grass roots efforts promote democratic ideals and attract new voters. The DTC supports volunteers on Old Lyme’s Boards and Commissions, and actively promotes candidates for local, state and federal office. 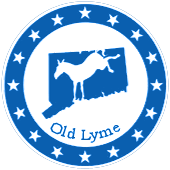 I hope you will join us at our regular monthly meetings, and visit our website often for updates and opportunities to serve the Old Lyme community. Your interest and participation is welcome and important!